On Thursday, April 3, 2014, Mr. , Pierre-Richard Casimir, the outgoing Haitian Minister of Foreign Affairs and Acting Minister of the Ministry of Haitians Living Abroad (i.e., Ministère des Haïtiens Vivant à l'Étranger or MHAVE) has proceeded towards his new role as the Minister of MHAVE, of the Consul General of Haiti in Miami. He will assume his charges from François Guillaume II, the current Consul General of the Republic of Haiti in Miami since December 2011. Mr. François Guillaume II is an economist with decade long experience in finance. In 2004, he had served as a consultant for the economic development to the council of Governor Bush's Haiti Advisory Group that drafted the comprehensive policy recommendations on economic, environmental and security to the Government of Haiti. Whether the new Director General of MHAVE (the Ministry of Haitians Living Abroad) would find trouble with his new appointment because it had not initially been approved by the GREH's (the Grand Rally for the Development of Haiti) General Assembly was a great cause for drama recently. 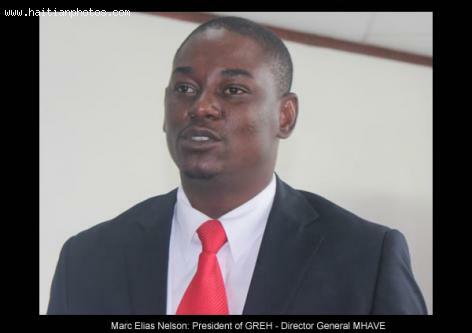 While Marc-Élie Nelson had been appointment as the new Minister, his still current role as president of the GREH was set to stir up trouble because of the lack of consent from the GREH's highest body. The Acting Minister of MHAVE, Pierre-Richard Casimir, installed the new Minister recently, with witnesses including many prominent members of the government and Youri Latortue, the President's Political Adviser, into a seat that the party founder and one time colonel, Rébu Himmler thinks shows an endeavor to demolish the principles and values of the party. While, word from the former Minister of Haitians Living Abroad is that the move to put Marc-Elie Nelson as the new Minister of the Ministry of Haitians Living Abroad rather shows the current President's willingness to work with those of a different view. In a move to raise its profile on the world stage by strengthening foreign-policy relations with other nations, Haitian Foreign Affairs Minister, Casimir, met with Russian Foreign Affairs Minister, Lavrov, in May. The meeting covered trade agreements, visa policies, and drug-trafficking terrorist connections. Haiti is a member of the Community of Latin American and Caribbean States (CLACS) that comprises 33 nations, a populace of 600 million, and a yearly domestic output of $7 trillion. The organization was started in 2010 to offset the U.S.'s dominance of South- region interests. Russia is seeking to restore its weakened influence in Latin American and Caribbean countries since the collapse of the Berlin Wall and Communism. It is advocating for a new world axis to include not only CLAS, but parts of the Middle East, Asia, Africa, and the Eurasian Union. These regions contain big and healthy economies, gaining in political and economic clout, and affecting the world economy and foreign relations. Tourists going to the Dominican Republic are finding the visit a bit dangerous. In this regard the latest victim has been Patrick Alexis. On December 12, 2012, several bandits assaulted him with stones, injuring parts of his body and face. Patrick Alexis who had been assaulted by bandits received some medical care at the Dominican Republic's local hospital and he is fine at present. He is not the only Haitian victim of crime. There have been others like the Minister of Haitians Living Abroad, Jean Tolbert Alexis, Paul Evans, Daniel Supplice and Daniel Torment who all have been subjected to assault by bandits in Haiti.